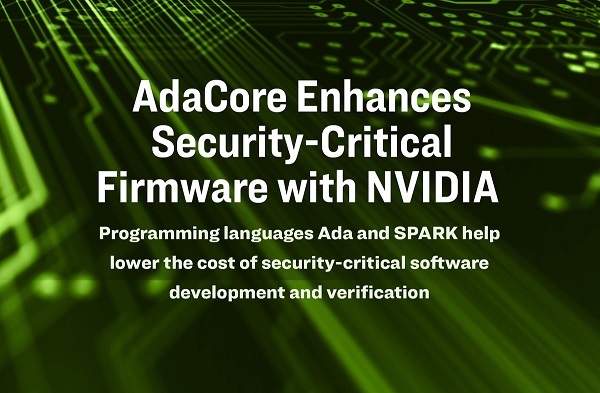 Ada and SPARK programming languages for select security-critical firmware used for applications like automated and autonomous driving. Ada and SPARK are designed to help meet the most stringent software requirements for safety and security. The Ada programming language has numerous built-in features that detect code defects early in the software life cycle, expediting the peer review and testing effort. The SPARK language — a restricted set of Ada features designed to perform a formal mathematical proof — increases the certainty of catching defects early that might not have been detected otherwise. SPARK facilitates static analysis that can formally demonstrate certain properties of the code, ranging from correct data flows and absence of run-time errors such as overflow, to more advanced assertions and satisfaction of functional requirements.